The only way to find what you're looking for is to lose it. Lose your way. This saying made me think a while. 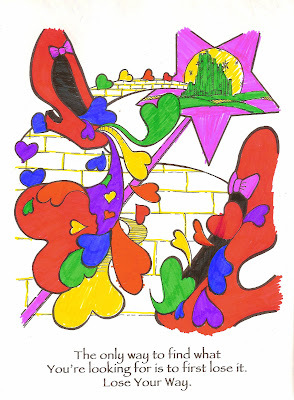 It's sort of like sometimes in recovery, you get so caught up in what you're supposed to be doing that you forget why you're doing them in the first place, which is to be able to enjoy life for what it is. A good example is when I was following a meal plan-I was consumed on trying to follow it correctly, but I wasn't really enjoying what I was eating. I still needed to let go of trying to be perfect. It took a while, but once I let go, or "lost my way," I was able to savor and to truly enjoy my food. As any person in recovery from an eating disorder knows, snacks are an essential part of the day. Snacks get a bad rap in our culture, but they keep our energy up, which in turn means that we are more productive and happy. Snacking is absolutely nothing to feel guilty about. So here are several yummy snacks I made recently. The first is a kiwi pineapple popsicle. 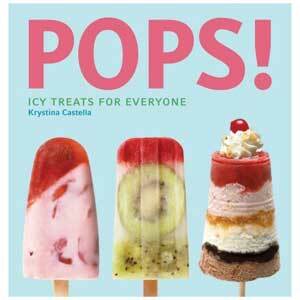 I got the idea from the book, Pops: Icy Treats for Everyone, by Krystina Castella. I had just bought a bag of kiwis from the grocery store-on sale!-and I had no idea what to do with them, so I flipped through the pages of this book to see if I could get any ideas. And I did! One of their recipes was to blend pineapple, kiwis, and a little bit of sugar together, so that's what I did. It was fantastic! I used about four kiwis and one can of crushed pineapple. I love the crunchy texture of kiwi seeds and so crunching them in ice form was even better than usual. The treat was both tangy, sweet, and full of fun flavor. I haven't made popsicles in a while, but after creating this post, even though it's cold outside, I may have to make some more. Here's fancy snack number two: Apple Bagels! I got the idea from tumblr, actually. It's one of those things that seems so obvious, but I had never thought of it before. Just core an apple, cut it up, cover it with peanut butter and then add the toppings of your choice. I did shredded coconut on mine. It's a very fun and filling snack. The topping choices are endless: dried fruit, bananas, nuts, granola, sunflower seeds...or coconut! So go ahead, "lose your way" for food-it's fun and your recovery will thank you.